MK Dov Khenin: "The Path of dispossession and deportation prevents Palestinians and Israelis from having a future"
Approximately two hundred Israeli and international activists joined today (Friday, June 6th, 2015) midday with the villagers of Susya, in a solidarity march against the planned demolition of the village and deportation of its residents. The event today was organized by the Combatants for Peace movement and the local village youth committee, in commemoration of the Naksa Day, marking the 1967 war and the beginning of the occupation in the West Bank. 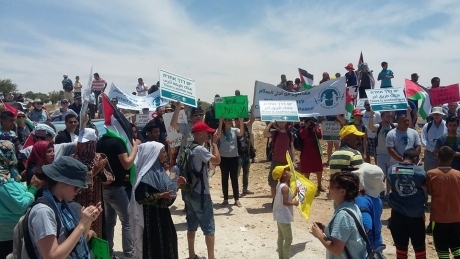 Upon arrival of the activists at Susya, villagers greeted the participants, and they separated into three groups who visited families and were told of the kinds of hardships placed upon them by the settlers and the Israeli military. The march started around noon, with people holding signs saying: "There is Another Way", "Save Susya", and "Stop the Occupation". During the march and the protest they chanted: "End the occupation! No more settlements! Two states - Two peoples!". “We are here today to show how the Israeli military is forcing people out of their homes, and to stand against the injustice that is being done by the occupation.”, explained Hafez Hureini, Beer-Sheva/Hebron Palestinian coordinator of Combatants for Peace. Shai Eluk, Beer-Sheva/Hebron Israeli coordinator of Combatants for Peace said at the demonstration: “Three years ago I was here as a soldier, serving in the southern Hebron region. Shortly after I got here, I realized I had to talk to the villagers I met, and ask them about their lives. When I understood the situation, I approached my commander, telling him that I was unable to continue serving in the West Bank, since my presence here supports the violence and the occupation." The Palestinian village of Susya, located in Area C in south Hebron, where the Southern group of CfP operates, has been in existence for more than a century. Due to the planning policy of the Civil Administration in Area C, which systematically blocking any possibility for planning and issuing of building permits to Palestinians, the village has not received approval for its master plan and risk of deportation is constantly hovering over their heads. Since 2001 settlers have taken over lands of the village, accompanied by violent harassment, with the aim to push the Palestinian residents from their lands. This month the Supreme Court allowed the Civil Administration to destroy the village, which will lead once again to deportation of the villagers, even before the master plan has been submitted. The deportation will leave hundreds of families homeless during the summer months, without a solution and in a situation where they will be refugees on their own land and have nowhere to go. Susya is one village, but the threat to it is the story of many villages in Palestine, where lives are threatened on a daily basis by the occupation. This is a broad trend of trying to push the Palestinians into Area A, which makes up a minor part of the West Bank. We must resist the dangerous precedent of the deportation of Susya residents. “Combatants for Peace” was established by a group of Israelis and Palestinians who have taken an active part in the cycle of violence in the region and are now working nonviolently for peace and coexistence. In recent years, we have conducted hundreds of joint activities which include tours, demonstrations, in-house meetings and lectures, in Israel and in Palestine. In these events we call for an end to the occupation and express our complete opposition to any form of violence together with the recognition of the existence of a partner in dialogue on the other side. This Israeli project has been nicknamed ‘E1′, and according to the United Nations Office for the Coordination of Humanitarian Affairs (OCHA) and the UAWC follow up, will seize 1460 acres currently the home of around 12,500 Bedouins living in 46 communities. The project will “give” about 450 Square meters for every Bedouin family, with restricted permits of use; they can build only one story for housing, and another one of 25 square meters as a forage store for their livestock. This allocation is horrifically inadequate and may push families to sell their sheep, become workers in the settlements and transform them into consumers instead of producers. 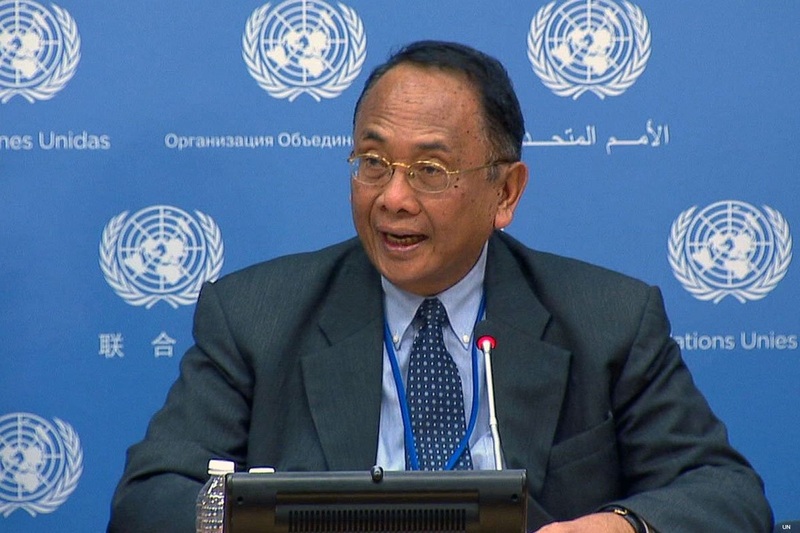 UN Special Rapporteur on Human Rights in the Palestinian Territories Makarim Wibisono has urged Israel not to implement its plans for the forcible transfer of Palestinian Bedouin communities in the West Bank. "I am alarmed at indications that the roll-out of plans, which in their full effect are believed to entail the forced eviction and forcible transfer of thousands of people, contrary to international human rights law and international humanitarian law," Wibisono said in a statement Friday, adding that the evictions appeared imminent. An estimated two thirds of those who would be affected by the transfer plans are children, he noted. "It is very troubling that the implementation of these plans may further undermine the territorial integrity of the occupied Palestinian territory," he said. "Israeli authorities were taking steps towards the transfer of residents of Abu Nwar, one of a substantial number of affected Palestinian Bedouin communities," he said. 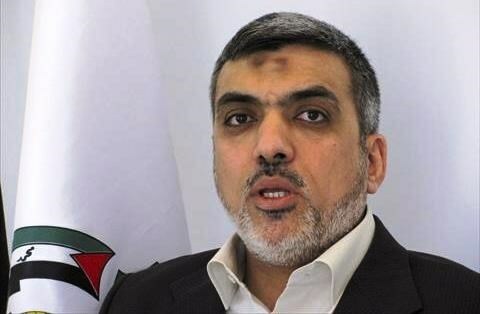 "Since his appointment in June 2014, full cooperation has been extended by the Palestinian government, but the independent expert's requests to visit Israel and the occupied Palestinian territory have so far received no formal response by the government of Israel," the statement said. Palestinian negotiators insist that Israel's illegal settlement construction must end before stalled peace talks - which broke down one year ago - can resume. 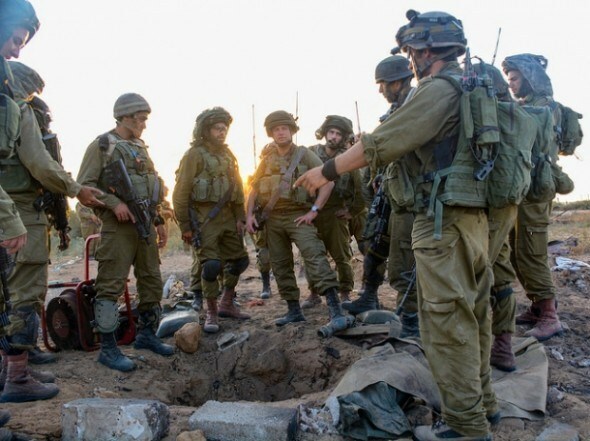 Israeli Occupation Forces (IOF) were deployed on Thursday evening in various locations in Marj Bin Amer to the west of Jenin for searching on water wells. Local sources revealed that IOF soldiers took photos of the locations and questioned Palestinian farmers while working in their lands in two towns in Jenin. The Israeli questions were about irrigation sources and locations of water wells, the sources pointed out. The Israeli authorities consider the artesian water wells as unlicensed while at the same time they refrain from issuing well licenses. Israeli bulldozers protected by military vehicles stormed an area known locally as Diraa Awwad near the Israeli military checkpoint Hamra, east of Nablus, Ma'an reports. 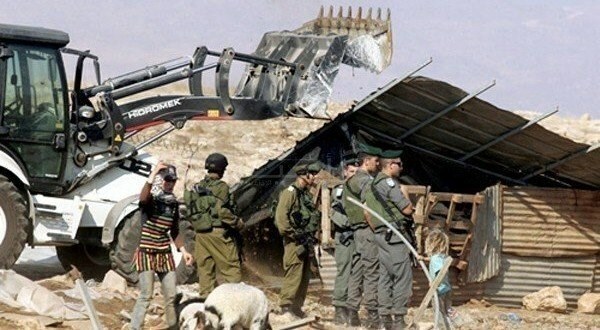 Bulldozers then demolished the structures including tents, barns, farmland, and water tanks belonging to Palestinian families, said Muataz Bisharat, an official from the governor's office in Tubas. The Israeli forces "demolished almost the whole area," he explained, allegedly because the structures were built without a license. The structures belonged to locals Adnan Abd al-Mahdi Salamin, his brother Adil, Kayid Ghayyath, Nidhal Yousif Abu Awwad and his brother Nidham. The Israeli Civil Administration confirmed 12 structures had been demolished in the area. In an emailed statement, it said that security forces carried out the demolition of 12 "illegal structures which were built without the necessary permits in Tamoun." "The buildings were demolished after the enforcement process was completed and demolition orders were delivered. We would like to note that the owners didn't submit requests for building permits at the site." 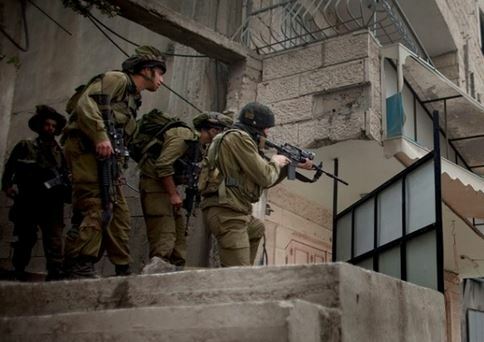 Israeli soldiers invaded, on Thursday at dawn, several Palestinian communities in different parts of the occupied West Bank and Jerusalem, stormed and searched dozens of homes and kidnapped at least twelve Palestinians. Soldiers also demolished wells and a wall in a town, near Hebron. Media sources in occupied Jerusalem said the soldiers invaded homes in the Schools Street, in Jabal al-Mokabber neighborhood, and kidnapped two Palestinians identified as Ahmad ‘Aziz “Oweisat, 23, and ‘Ata Mohammad ‘Oweisat, 43. Soldiers also kidnapped ‘Ai Sabri Abu Diab, 18 years of age, after invading his home in ‘Ein al-Louza neighborhood, in Silwan town, south of the Al-Aqsa Mosque in Jerusalem. In addition, soldiers invaded several homes in Silwad town, east of the central West Bank city of Ramallah, and kidnapped Ali Bassem Hamed, 19, and Tareq Naim Hamed, 21. They also searched homes in the town, after surrounding them. Silwad has been subject to frequent invasions, and arrests that led to the abduction of 18 Palestinians in less than two months, while dozens of residents, including more than ten children, were detained for several hours. 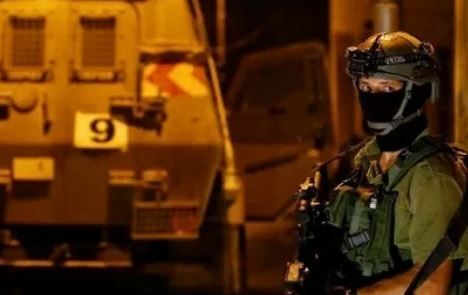 Also in Ramallah, soldiers invaded Deir Ghassana village, northwest of the city, stormed and searched several homes, and handed one resident a military order for interrogation in the ‘Ofer military base. In addition, a large military force invaded Nahhalin town, west of Bethlehem, and kidnapped three Palestinians identified as Abdul-Karim Mohammad Shakarna, Ismael Osama Shakarna and ‘Ammar Khalil Shakarna. Soldiers also kidnapped three Palestinians from the southern West Bank city of Hebron, and took them to the Etzion military base. The three have been identified as Nasr Hussein Abu Hadeed, Mohammad Saleh Mahmoud Abu Turki and his brother Amjad. Another Palestinian, a college student identified as Yousef Sweity, was kidnapped from his home in Beit ‘Awwa town, west of Hebron. The army bulldozers also demolished three water wells, and several walls, in addition to uprooting olive and almond trees, in Surif town, northwest of Hebron. Head of the Surif Local Council Mohammad Lafi said the the demolished wells are vital for agriculture, and that the soldiers also bulldozed dozens of Dunams of farmlands belonging to Ghneimat family, in Sha’ab Seif and Qornet Hadid, west of the town. On Wednesday at night, soldiers kidnapped a child, identified as Ghaleb Hamed, 15, after stopping him on a roadblock installed on the western entrance of the Silwad. Hamed also holds a U.S. citizenship. 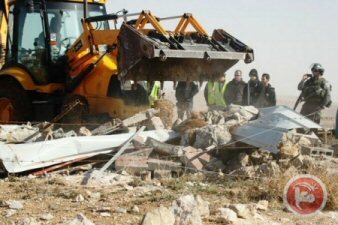 Israeli Occupation Forces (IOF) notified four Palestinians of its intention to demolish their houses in a town in Bethlehem, claiming they are located within the Israeli-controlled C Area in consistence with Oslo Accords. Local sources revealed that the IOF soldiers stormed Um Salmouneh town to the south of Bethlehem on Wednesday morning and handed four demolition notices to four Palestinians of Taqatqah family. Each house is constructed on an area estimated at 200 square meters, the sources pointed out. Israeli soldiers invaded, Wednesday, dozens of Palestinian communities in different parts of the occupied West Bank, searched and ransacked homes, and kidnapped at least thirteen Palestinians. 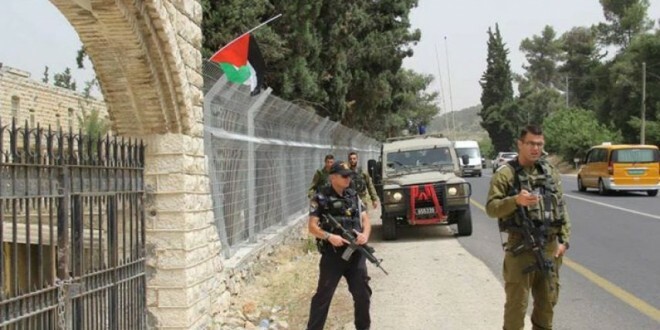 Media spokesperson of the Popular Committee against the Wall and Settlements, Mohammad Awad, said several Israeli military vehicles invaded Beit Ummar town, north of Hebron, and kidnapped two Palestinians, after violently searching their homes. Earlier on Wednesday, Israeli navy ships attacked Palestinian fishing boats in Gaza waters, kidnapped five fishers, while the soldiers carried out a limited invasion into southern Gaza, and opened fire on local farmers, moderately wounding one Palestinian.